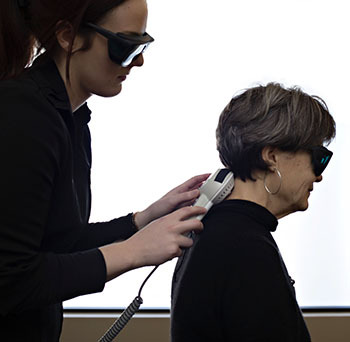 Grand Falls Chiropractic Wellness Centre uses Theralase Therapeutic Laser Treatments to provide patients with a safe, effective and painless therapy that uses the body’s own natural healing systems to relieve pain, increase joint mobility, increase tissue integrity and promote cell regeneration. Theralase is a highly effective tool to use on fractures, torn ligaments and inflammation and works most effectively on acute injuries. This technology is the same used in the Blue Jays dugout. It goes deep into your problem area and delivers oxygen to your cells to speed healing, decrease inflammation and can even help fractures heal more quickly. Are you ready to try Theralase Therapeutic Laser treatments? Contact us today.